One of the first steps before starting networking is to determine your goals. Are you looking for clients? Do you want a certain number of qualified leads? Are you looking for vendors? Do you need a power partner? These may determine the type of groups that you’re looking for. I went to the meetup.com website and typed in “networking.” This returned over 800 groups within 50 miles of my location. This does not include the chamber of commerce groups. Looking back on your goals might help narrow your choices. Here’s a quick overview of some of the types of groups. A chamber of commerce is a local organization of businesses whose goal is to further the interests of businesses. Local chambers work to bring the business community together and to develop strong local networks. Many chambers have smaller focus groups (e.g., women in business, young professional network, various committees and teams). 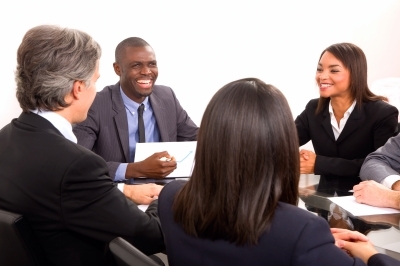 These groups are limited to one person (or business) per business category. They typically meet once per week strictly for the purpose of developing leads. These groups are focused on one industry. They help support and educate about industry specific interests. There are many other types of networking groups. Some are for women only, some are open groups that have no limitations on the number of members from any given category, There are even some faith-based groups. With such a large variety of networking opportunities, it’s important to make time to visit different groups to see what is your best fit. You may get a good feel for a group on one visit or you may need a few different visits to a group to determine if it is a good fit for you and your business. After doing your “test drive” of groups, pick a few and focus your efforts on those groups. Find groups that can give information and education and support and leads. We will dive deeper into this topic in the coming weeks. 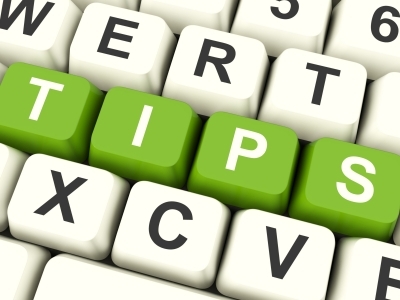 Every month I will be doing a posting on timely tips and tricks. For the most part these, will be guided by the questions I run across from clients or while networking. In other words, if I have to dig out information, I’ll pass it along instead of having others need to look up the same information. Moving Outlook contacts to your phone. This simple YouTube video shows how to transfer Microsoft Outlook contacts from your computer to your Android phone using a free app called Wondershare MobileGo. There’s another YouTube video showing the same transfer with music. There is also an article in PCMag titled How to Sync Android with Microsoft Outlook. The article itself is over 18 months old; however, there are many great tips (some recent) in the comments. As I don’t use Outlook, I’ve never had to transfer contacts so I do not have first hand experience with these. “Write” it down. As many productivity experts can tell you, having written lists is wonderful for keeping track of things. I discovered something else in the past month. Twice, when I was “writing” (well, once writing in pen on paper and once typing a question to one of my Google+ groups) something down, in the process of writing I discovered the answer to my question. Multitasking. According to an article (must move laundry to the dryer) in MailOnline, women might not be (was that the door) better than men at multitasking. It seems our brain copes well with well-practiced routines (driving a car and listening to the radio) but some things need our entire focus. DING DING DING, we have a winner! Especially since I checked my mail when I got home and found out that two other working women I know were down in the same week with headaches. We’re all capable of pushing ourselves too hard, and we all need to achieve balances in our lives, but HOW? I’ll admit that while I might be able to give some pointers, I’m still learning. I’m not perfect. I’ve had times where I’ve spent more time on work than I should, and I’ve certainly had times where I’ve relaxed more than I should. I’ve been known to err in both directions. I have learned some general guidelines along the way, so here are a few of Mary’s favorite tips. Yes, I am listing that right after “having strong boundaries.” Sometimes an urgent work issue might arise during “family” time, but sometimes an urgent family matter might arise during “work” time. Flexibility is often the key. If you’re in a new career or starting something new, let your family see the value in your work. It does take a while to get off the ground and have some solid income when you’re first starting out. Make sure to celebrate the “little” things with your family as they happen. Spending some time on a warm weekend at the local frozen yogurt shop or heading to a movie (and getting extra popcorn) will remind your family that they, too, will benefit from mom’s new job. An Attitude of Gratitude hooray for what’s o.k. (1) I actually wrote down about 5 ideas while people were saying what areas they need assistance with, but work/life balance was a standout – you’ll actually see more blog topics from this discussion in the coming months. (2) This is coming from someone starting a new business and who spent the first two months of the summer following the same script, the kids would ask, “What’s for lunch?” and I’d answer, “Whatever you make yourself.” They’re 16 and 11, and capable of making a peanut butter sandwich or chicken nuggets. 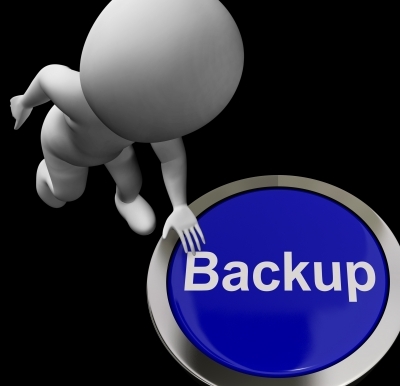 What’s Your (On-site) Backup Plan? Last week we talked about online backups . I’d like to continue that discussion this week with on-site backups. Type the phrase “how to backup your computer” in Google and you will receive “about 235,000,000” results. I’m going to assume that you don’t want to go and read them all. I listed a few of the more interesting ones in the “Related Articles” section. Backups are like exercise. There are many articles about how to exercise and when to exercise and why to exercise, but the best exercise for you is the one that you’ll do. It’s the same with backups. We all should be doing them, we all need to be doing them, but unless you find something that you’re going to keep up with, it’s rather useless. On my current computer I use the Carbonite Mirror Image to backup to a hard drive. This is kept safely off-site (bank safe deposit box). On my former computer (Windows XP), I used a program called Rapid Backup. When I was looking for a backup program for my Windows XP machine, I did my usual method for finding software. I went to Tucows Downloads, typed the appropriate search term in the box, and found a program that was shareware with a high popularity and a high “cow” rating. I love free software, but I also like to know if it’s tested virus and spyware free (as it is on Tucows — but be wary of the ads). In addition to that, just to make sure I always have (almost) instant access to customer files, I have my “Documents” directory and my “Downloads” directory copied to a thumb drive, which is also held in my bank safe deposit box. (Luckily my bank is 1/4 mile away, and an easy walk or drive). One thing every person needs to assess is what their most important files are, and make sure that those files are accessible in an emergency. (Oh, and if you think all that I do seems to be too much, I’m sure some of my IT friends would be telling me some steps that even I am missing).